If all you knew about Bridlewood was the origin of its name (yes, it involves horses), that would be a great enough tidbit. 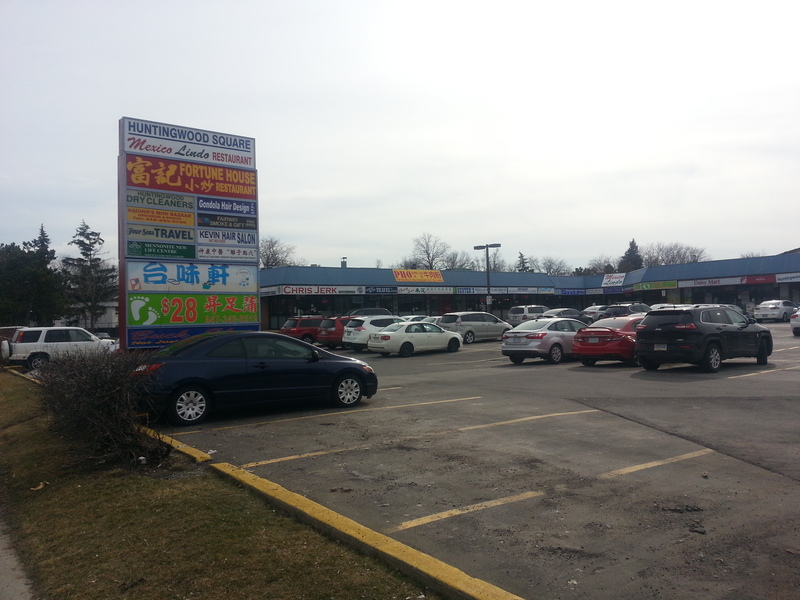 Fortunately, the intrigue of this North Scarborough community reaches far beyond its curious moniker. 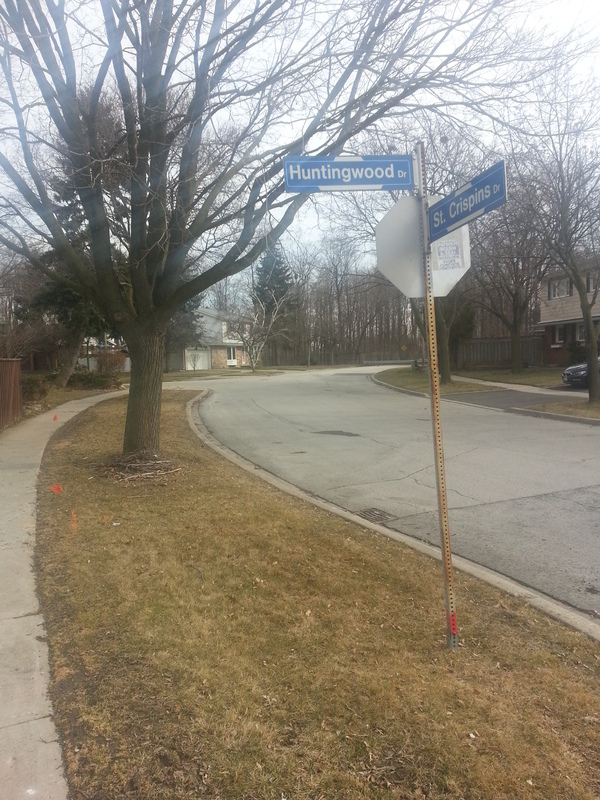 Let’s begin on Huntingwood Drive near Birchmount Road, for example, where a trio of stubby saintly- and stately-named roads, each progressively shorter than the other, dead end at the Tam O’Shanter Golf Course (related: you can read about my take on the club and area here). 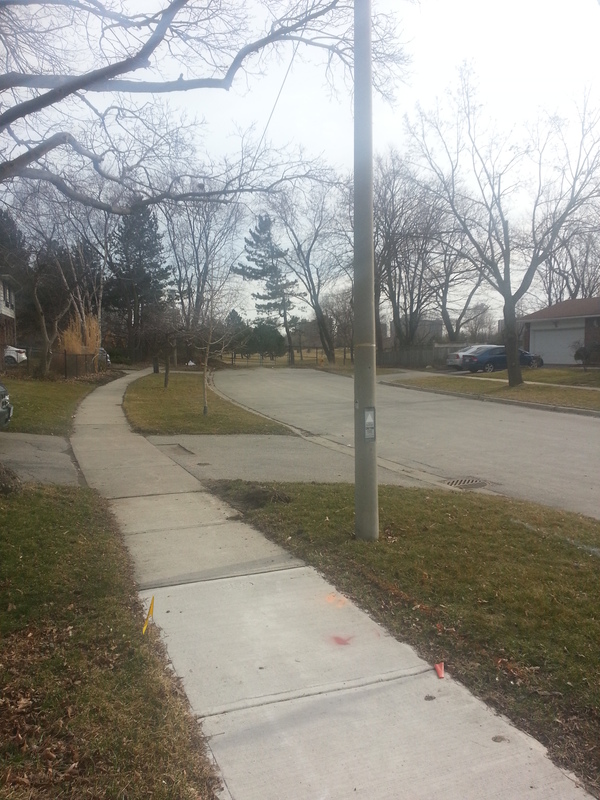 They might be some of Toronto’s shortest streets. At the intersection, Huntingwood Square houses Chris Jerk and Hunter’s Pizza, great local eateries that showcase a few of the tastes of Bridlewood and Scarborough. 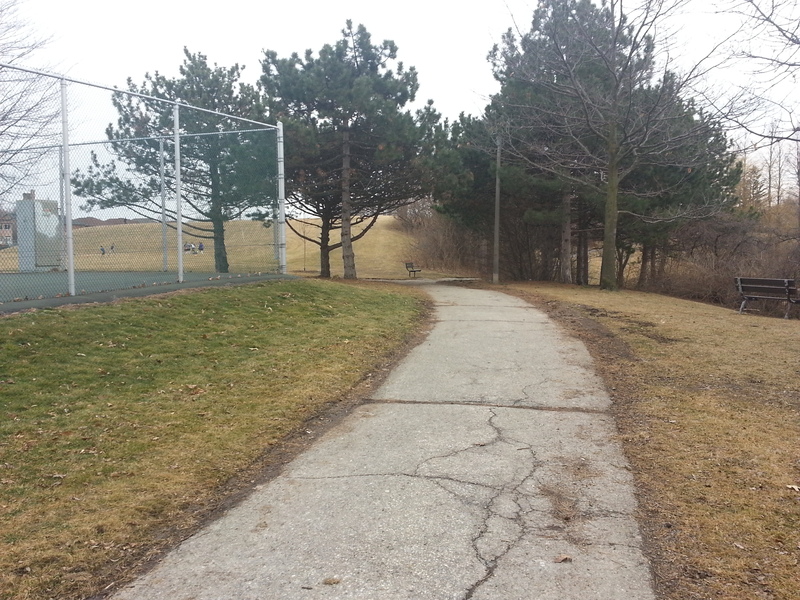 Bridlewood also hosts a portion of the North Scarborough Green Loop, a cycling and walking route that winds around the upper part of the borough. 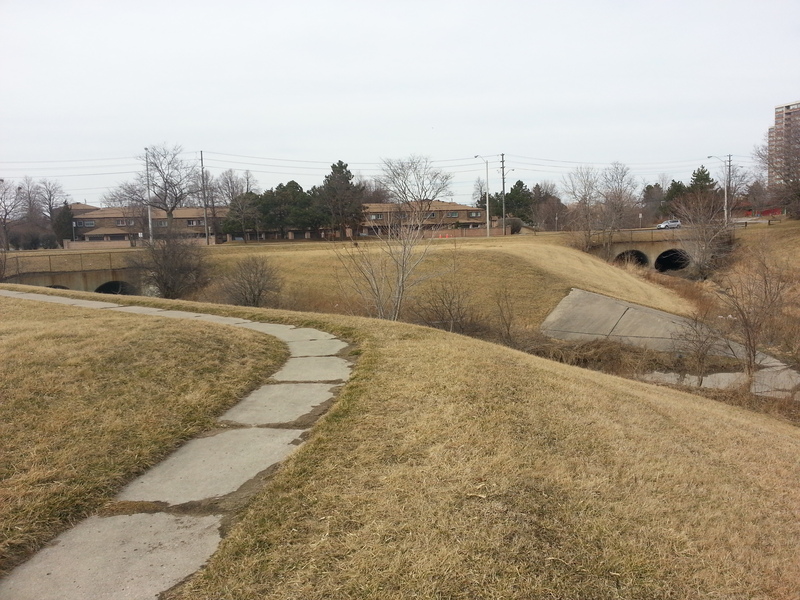 From Huntingwood Drive, the loop turns onto the West Highland Creek trail, the main waterway through the area. 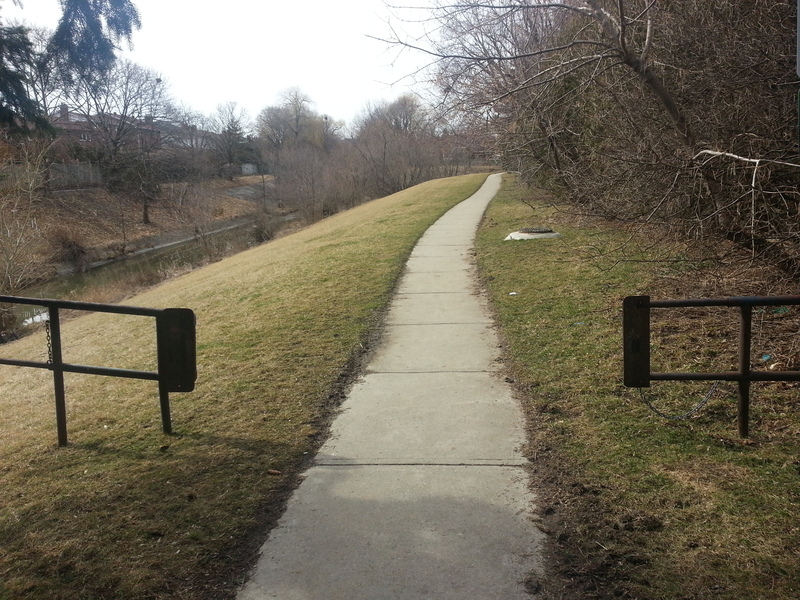 On its way towards Finch Avenue, the channelized creek splits off in two places, the latter of which leads into L’Amoreaux Park in one direction and follows the Loop in the other. 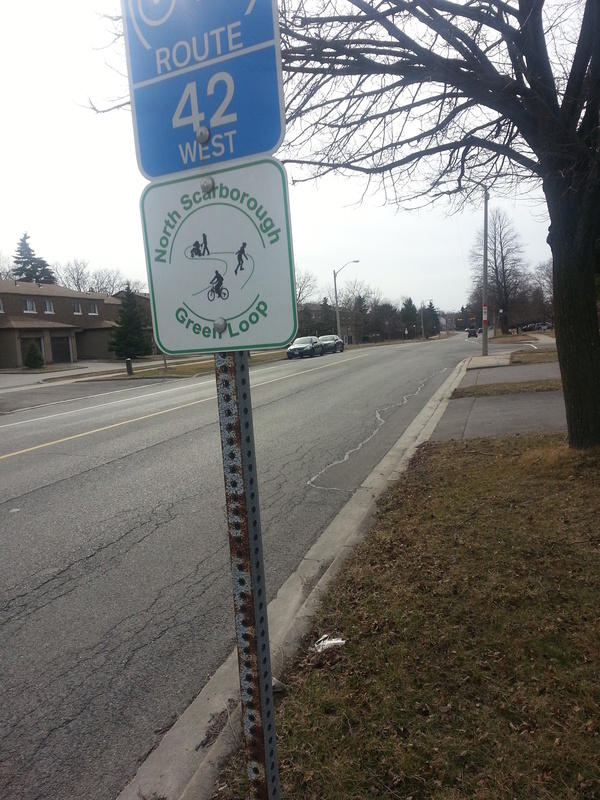 The Highland leaves the cycling path behind at L’Amoreaux Drive, and continues to its terminus at Brookmills. 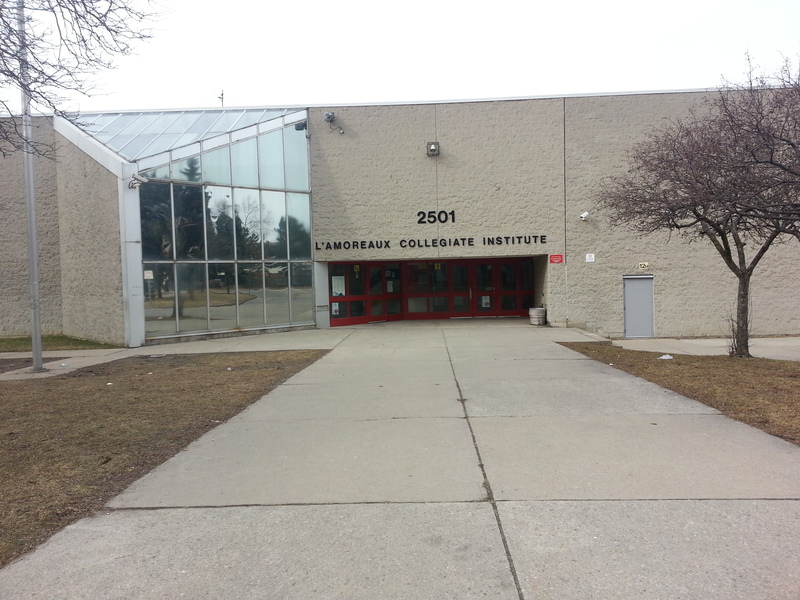 Nearby, on the Donway-esque Bridletowne Circle, there’s L’Amoreaux Collegiate Institute. Its grey 1973 exterior and coloured lockers were quite familiar to me in the 90s while attending Saturday Greek school. 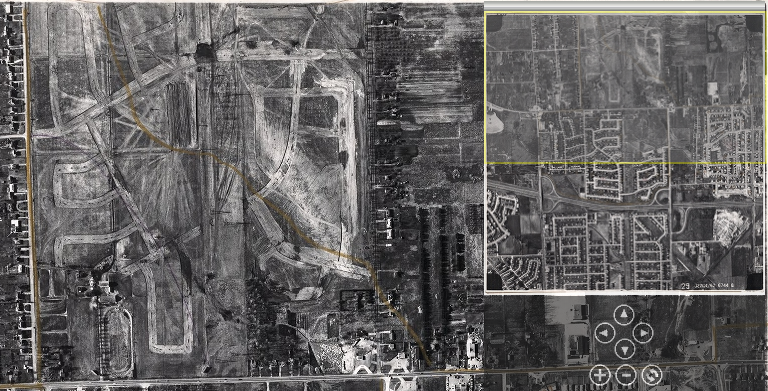 A neat tidbit: Rush’s Subdivisions, the Willowdale group’s 1982 anthem about the alienation that goes with growing up in suburbia, was appropriately filmed at L’Am (albeit, I don’t know if that outsider feeling is exclusive to the suburbs). 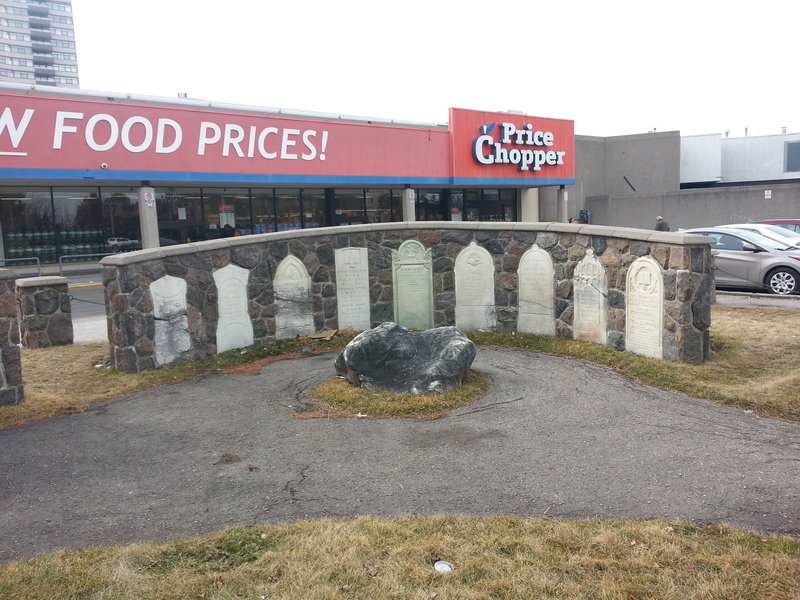 Another Bridletowne Circle landmark is Bridlewood Mall — and the graveyard curiously situated in its parking lot. 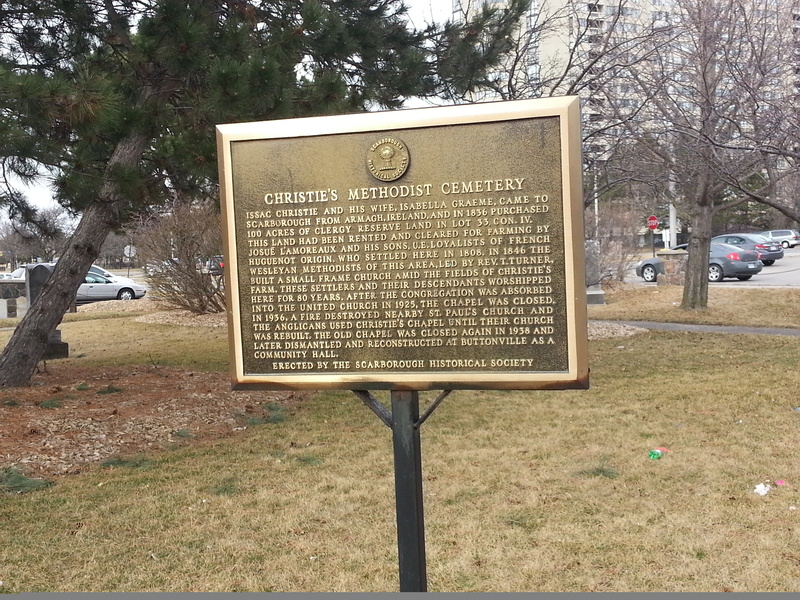 This is Christie’s Methodist Cemetery and it has an interesting story. 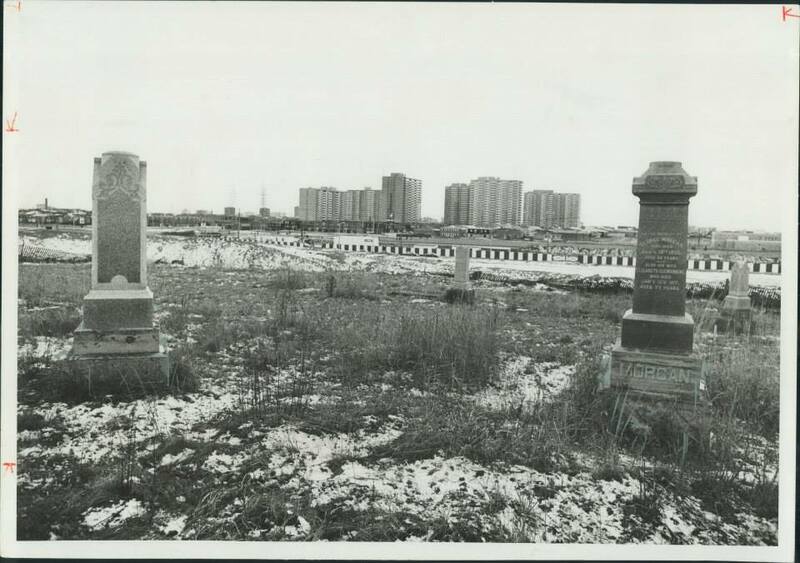 When the mall was to be constructed the 1970s, the developer had this collection of 19th century gravestones at the end of a dead-end path to contend with. Christie’s Methodist Cemetery, 1974. Source: Toronto Star Archives. 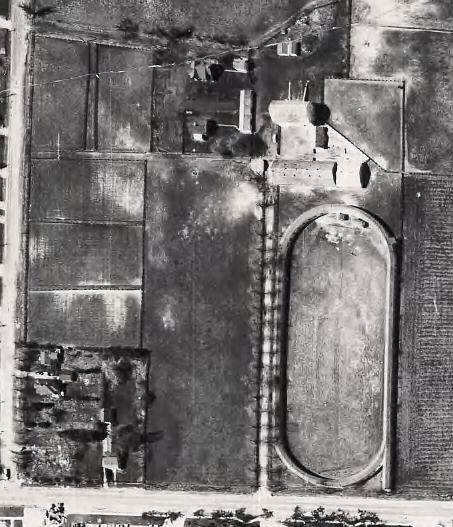 The trustees of the overgrown necropolis as well as the descendants of its “inhabitants” successfully fought against the desire to move the graves. 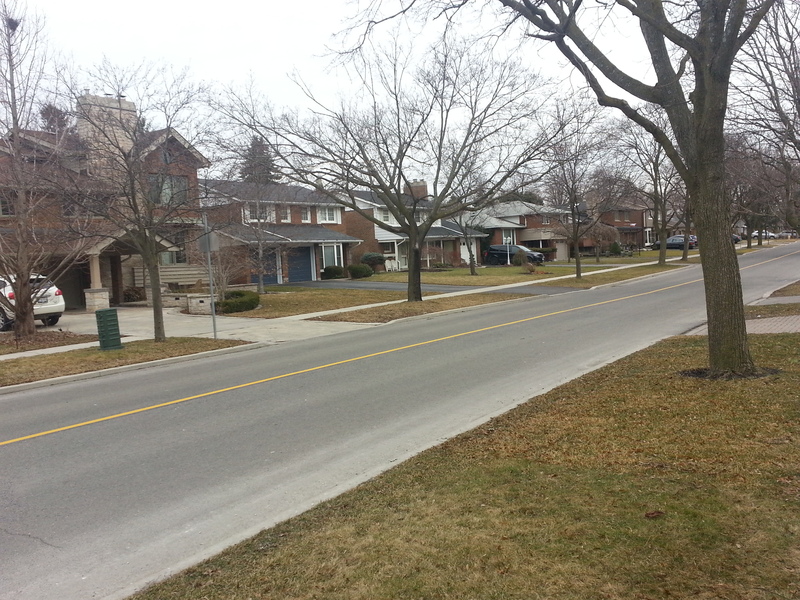 And so it remained — a welcomed rural leftover within post-war Scarboro. 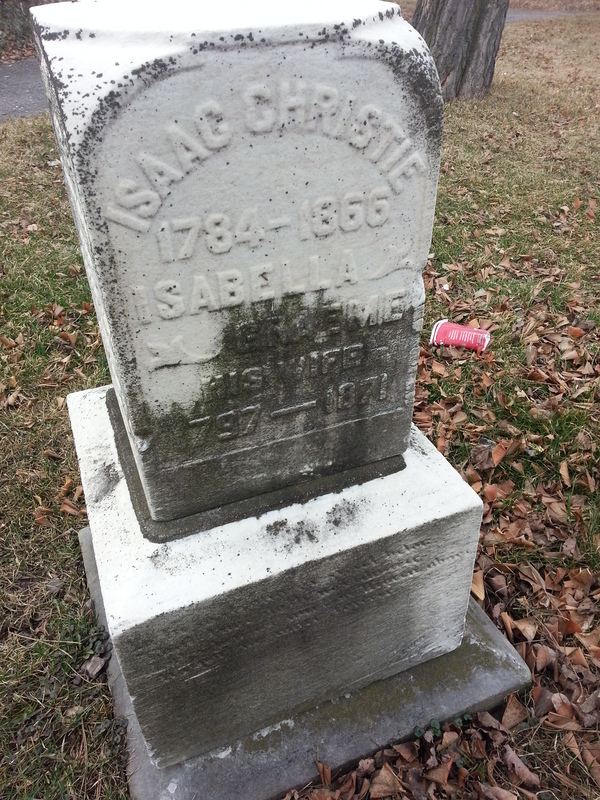 The cemetery has its origins as a part of Isabella Graeme and Isaac Christie‘s 200 acres on Concession IV lot 33. 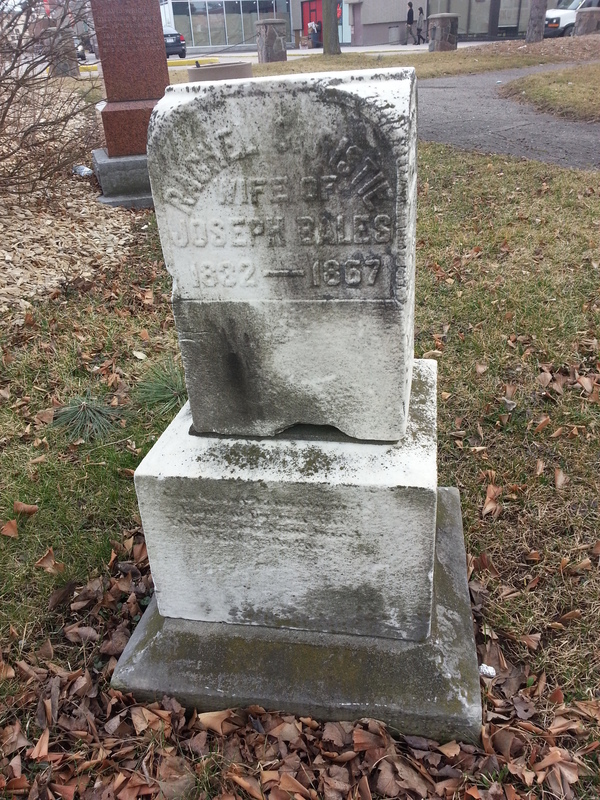 They donated a portion of their land in the 1840s to a congregation for a church. 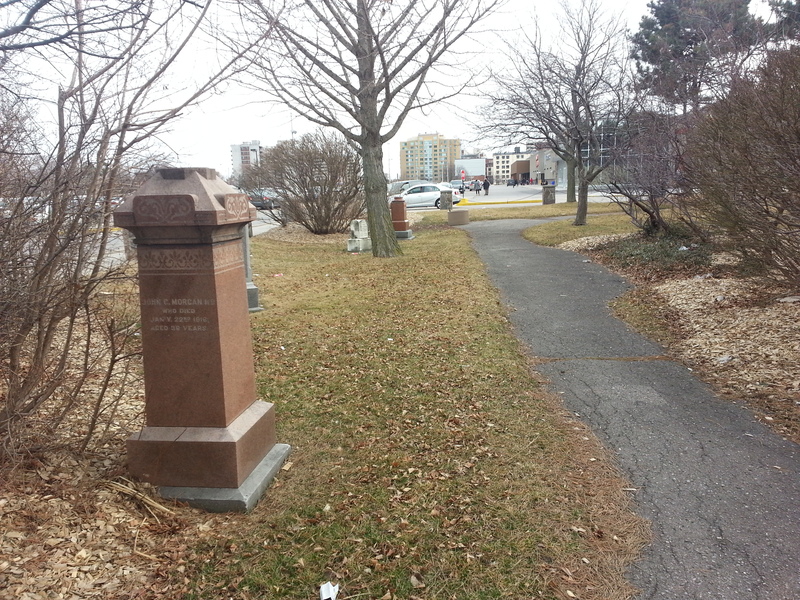 Their headstones, along with their relatives, are housed in the parkette. A plaque tells their story. 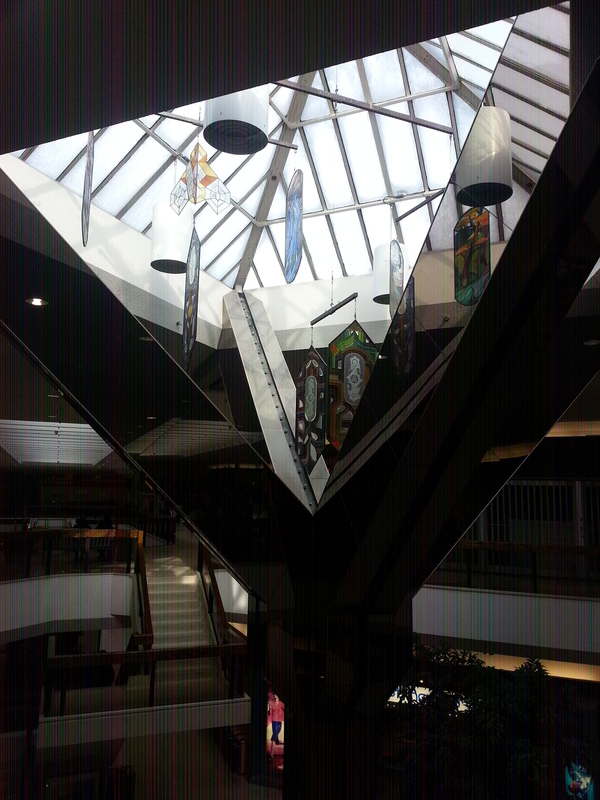 Bridlewood Mall, which celebrated its 40th year in 2015, hosts some of Canada’s retail ghosts. Its original anchor, a Zellers (Kmart before that), sits empty, even as its doors still welcome people into the bargain store. 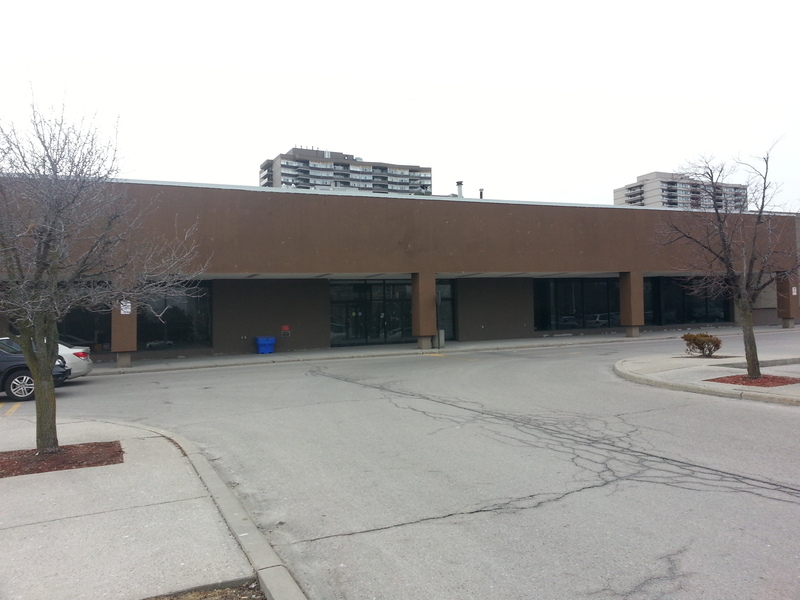 Inside is a collection of stores, including a well-loved Toronto Public Library branch. 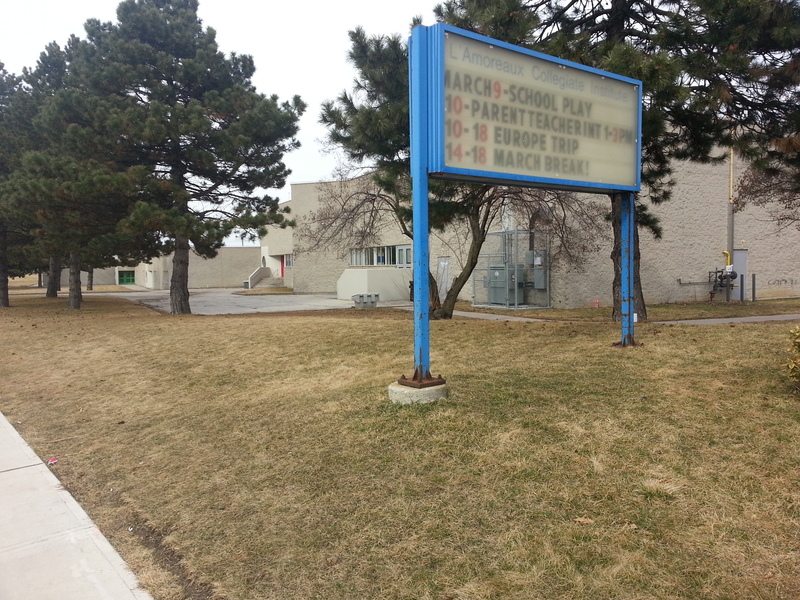 It seems 40 years after its inception, the Finch-Warden community around the mall might need some revitalization. 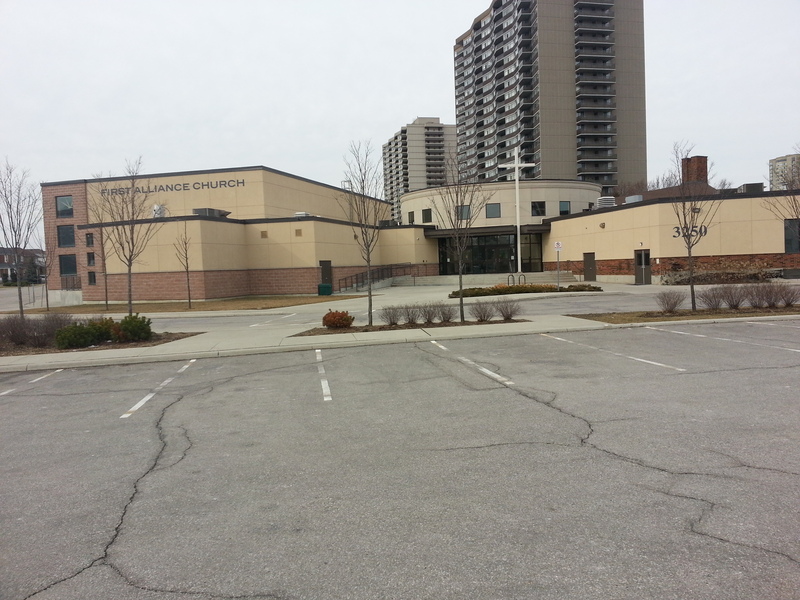 Like Christie’s Cemetery, the First Alliance Church and its parking lot hold another link to Scarborough’s rural past. 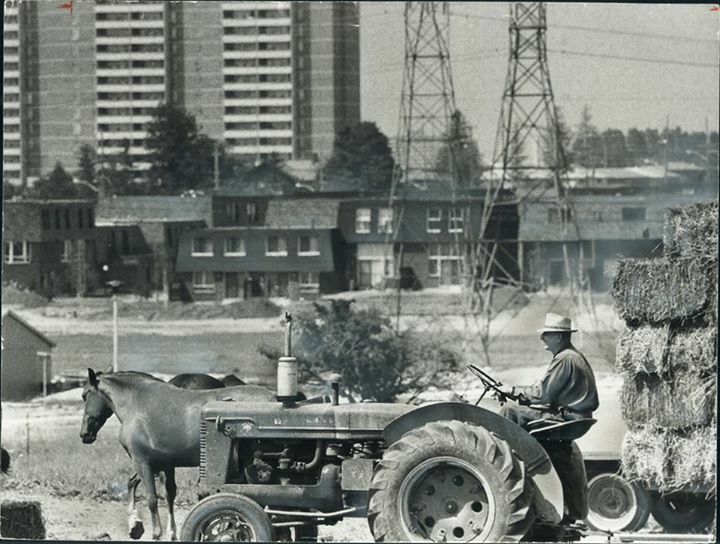 The church was built in 1977, but a photo in the Toronto Star five years prior shows a Mr. Harold Patton plowing his field in the presence of newly constructed hydro towers, townhouses, and apartment buildings. It’s a remarkable view of the borough in transition. 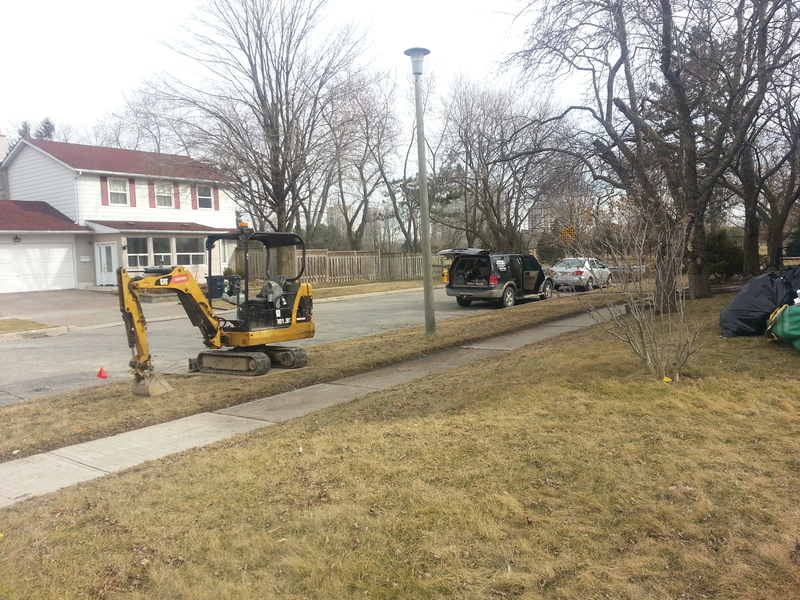 Suburbia emerging. Harold Patton on his farm near Warden & Finch, 1972. Source: Toronto Public Library/Toronto Star Archives. Finch & Warden, 1973. Source: City of Toronto Archives. 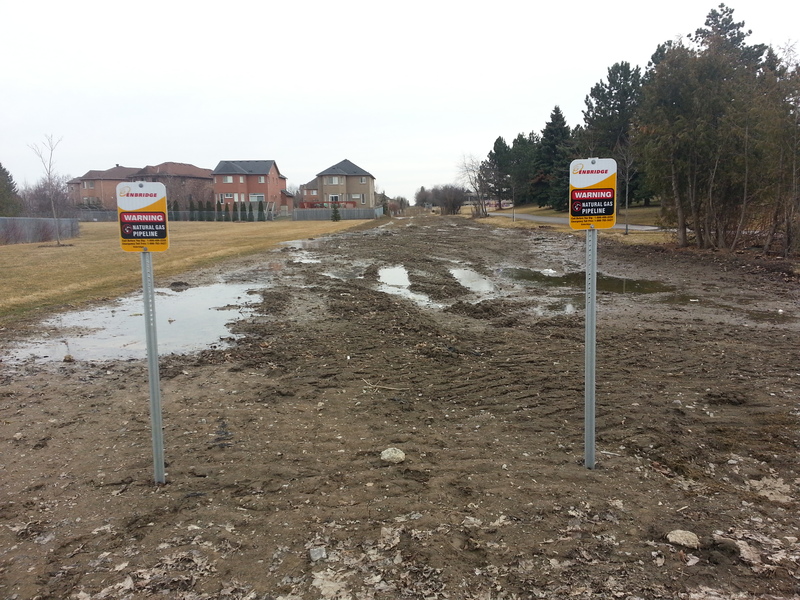 The hydro towers in the photo are gone, but the muddy corridor remains. There seems to be something happening with it. 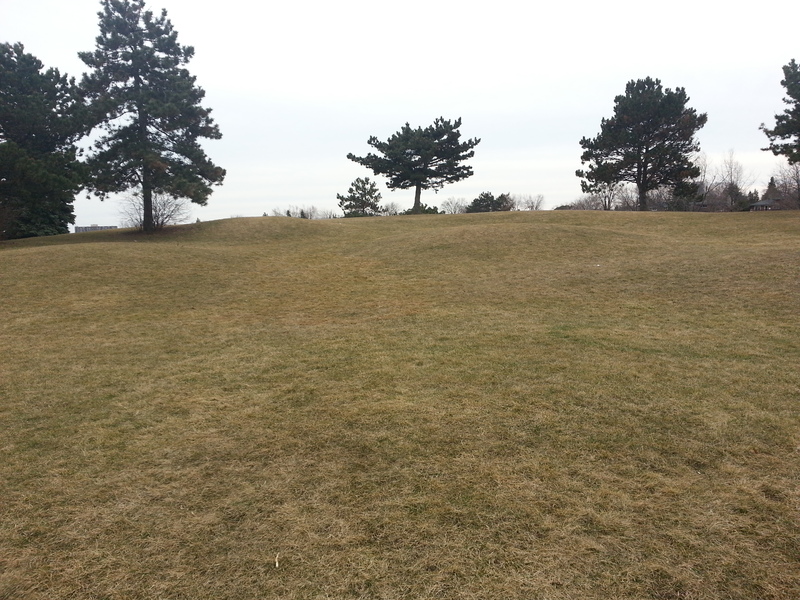 Further south, Bridlewood Park has a similar, more popular hill. 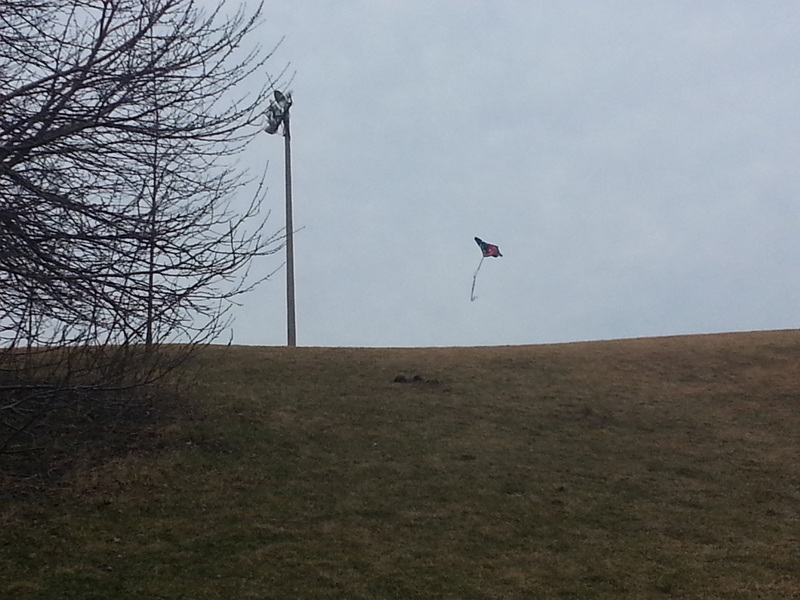 Good for flying kites. 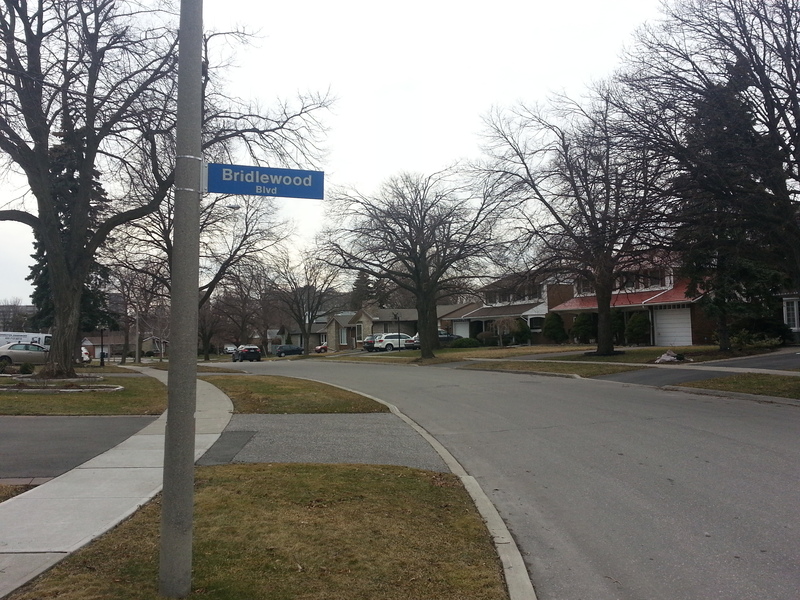 The existence of a Bridlewood and a North Bridlewood is somewhat curious to me, given that the schools and parks aren’t actually that far apart. It might lie in how the community developed. 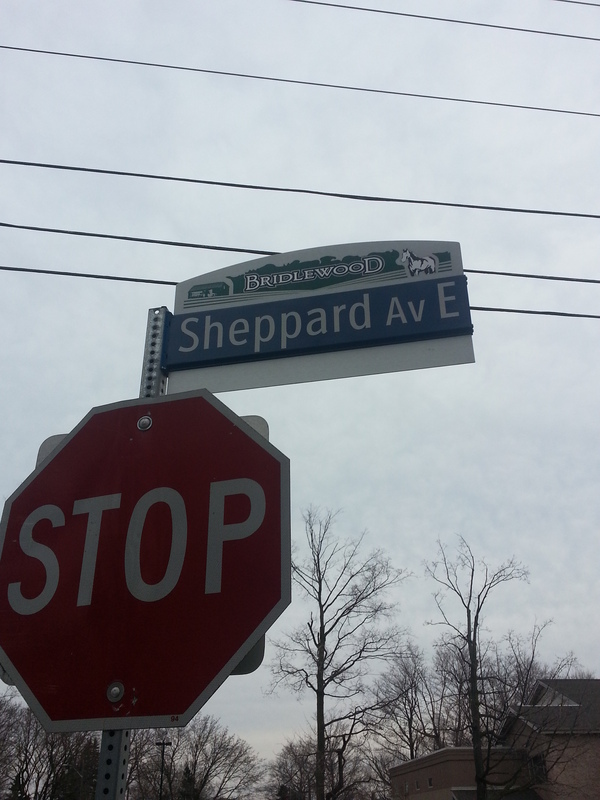 The original Bridlewood subdivision is located between Sheppard Avenue and just north of Huntingwood and between Pharmacy and Warden Avenues. It was completed in 1966. Bridlewood under construction, 1962. Source: City of Toronto Archives. 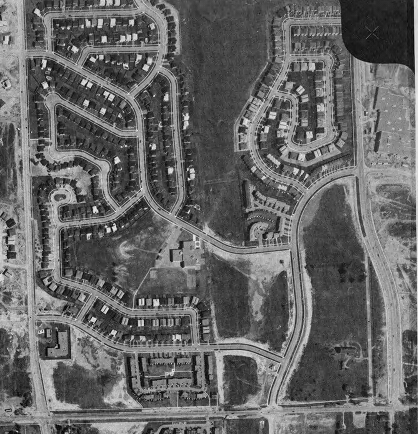 Later “expansions” north toward and past Finch, which we might call North Bridlewood today, came in the 1970s. 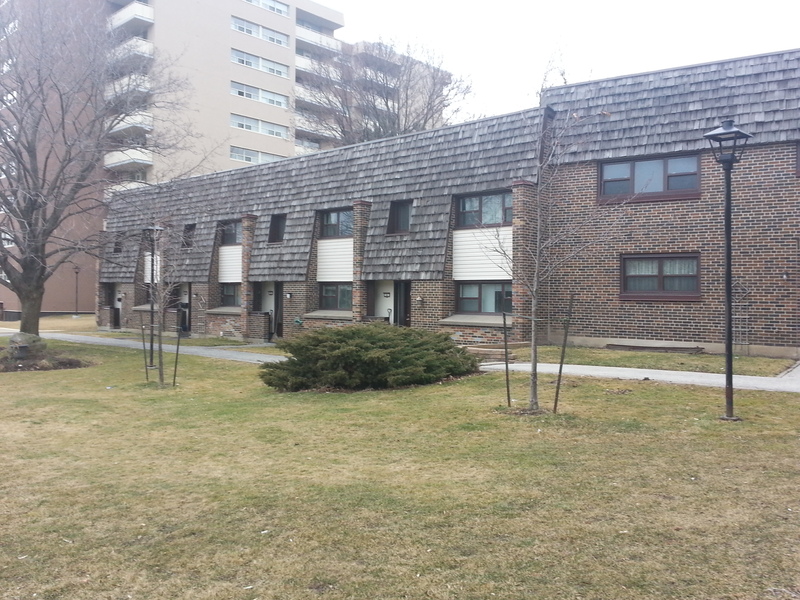 They might also be considered part of the larger Bridlewood neighbourhood (although, one could say there is overlap with L’Amoreaux and Tam O’Shanter — borders seem to be fluid). 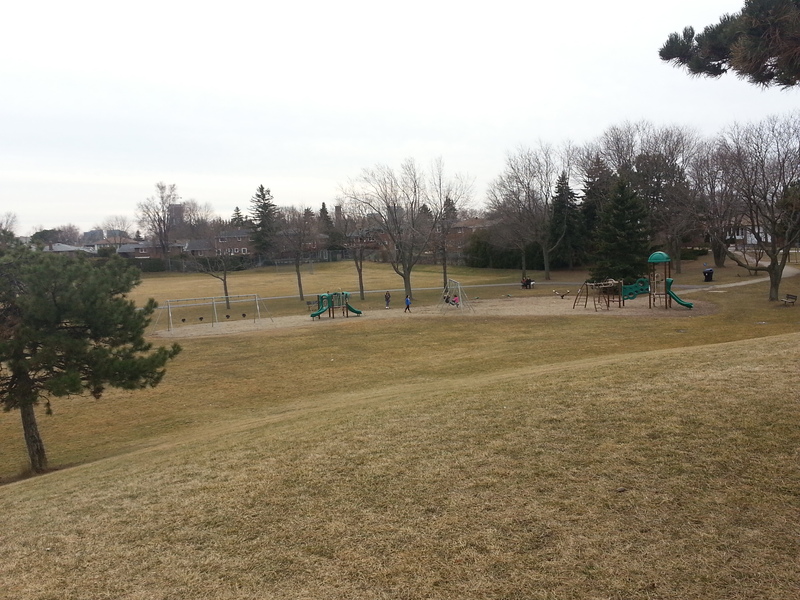 Judging by the friendly faces I speak to as I make my way down Bridlewood Boulevard, this is great area. Lapping back to the Bridlewood name, the northeast corner of Pharmacy and Sheppard was once home to industrialist and distiller Harry Hatch‘s indoor horse racing track. Hatch took over the stable in 1926, adding “championship horse breeder” to his profile in the process. Harry Hatch’s Indoor Racetrack, 1961. Source: City of Toronto Archives. When the structure was demolished around 1963 to make way for the housing development, Robert McClintock, who had an unsuccessful go at developing Bridlewood Mall, harnessed its history in its branding. 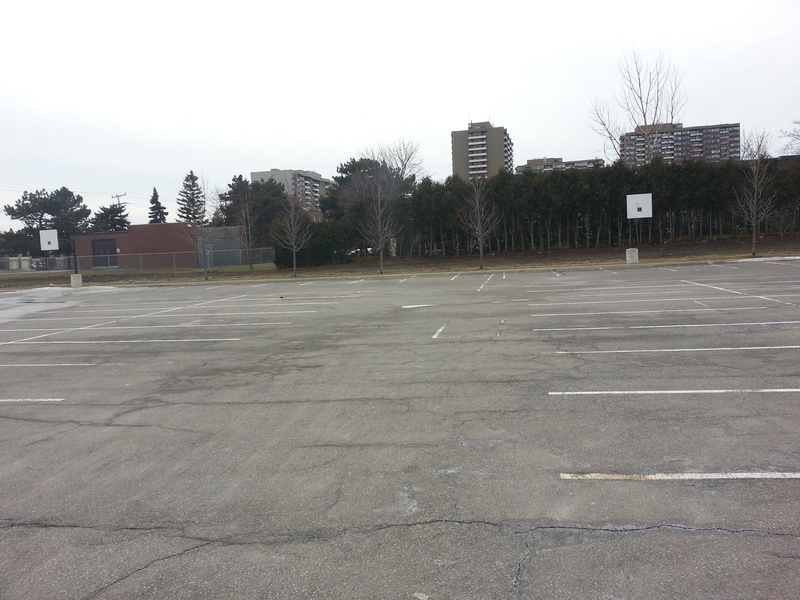 This entry was posted in Neighbourhoods, Parks and Trails, Scarborough and tagged Bridlewood, Bridlewood Mall, Christie's Methodist Cemetery, Harry Hatch, L'Amoreaux Collegiate Institute, North Scarborough Green Loop suburbia, scarborough, suburbs, West Highland Creek. Bookmark the permalink. 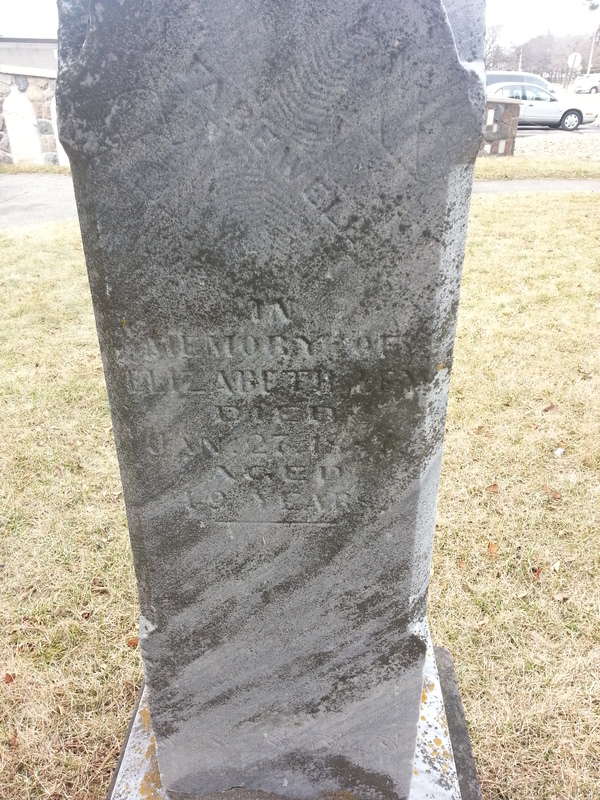 Read up more on the cemetery thanks to your post. Amazing piece of history, interesting just how much that are has changed in so little. 40 and 50 years is not a lot of time, I agree. 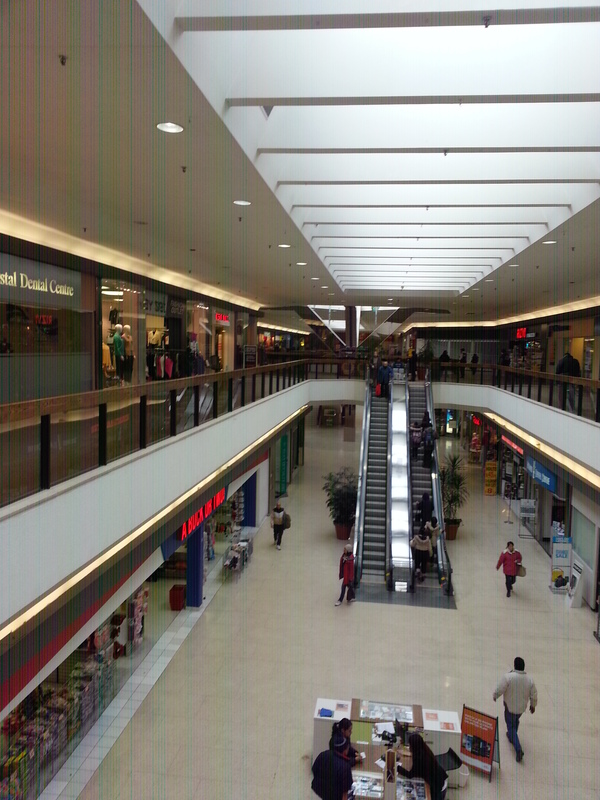 Zellers is not an original anchor store of Bridle Mall. Before it moved upstairs to the original KMart location it was a Towers, and was located on the north end of the original mall underneath what was Food City. Oh, thanks for the info. Never heard of Towers but did hear about Food City.